Despite the abundant evidence from Obama's victories proving that the U.S. population has fundamentally changed, many progressives and Democrats continue to waste millions of dollars chasing white swing voters. Explosive population growth of people of color in America over the past fifty years has laid the foundation for a new American majority consisting of progressive people of color and progressive whites. These two groups make up 51 percent of all eligible voters in America right now, and that majority is growing larger every day. Failing to properly appreciate this reality, progressives are at risk of missing this moment in history-and losing. A leader in national politics for thirty years, Steve Phillips has had a front-row seat to these extraordinary political changes. 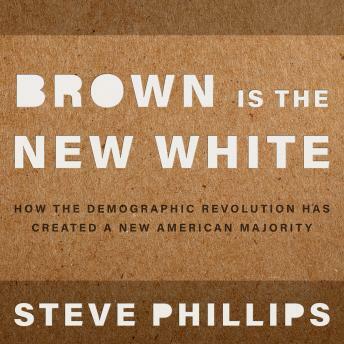 A civil rights lawyer and a senior fellow at the Center for American Progress, Phillips draws on his extensive political experience to unveil exactly how people of color and progressive whites add up to a new majority, and what this means for U.S. politics and policy.